See, I was planning on updating this the day after the show. And then Musharraf declared a State of Emergency. This one is not my fault! Wow. Seriously. Packed to the walls. Great great crowd. The right laughs at the right time. The flat-out best show of my life. Tickets sold out completely and we had to turn some people away. Word of advice: Next time get to the show on time. Not 45 minutes late and then demand to be let in. My beautiful wife Ishma handled the door with all the skill and professionalism of a box-office manager at a Red Hot Chilli Peppers concert. My friend Teimoor handled the door with the efficiency of a bouncer in Ibiza. 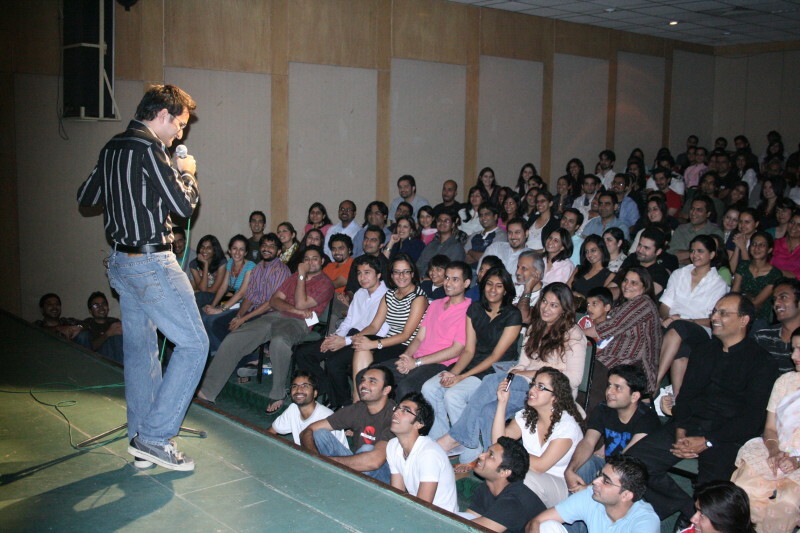 And Saad gave me the nicest and most crowd-exciting intro ever. Pics were taken. A video was made. And if I had delayed this show another week like I had planned, it never would have happened. So there. Gave tons of interviews later. Let’s see if the Friday Times prints theirs. Or Newsline. The Daily Times deserves a gold medal for Laziest Review Ever. Can’t be arsed to write a proper review? Just go ahead and print all my punchlines after re-writing them to lose all comedic effect. I think the nicest review, and probably the most professionally written, was over on Karachi Metblogs. Videos were recorded. Pictures were taken. I shall media blitz you to hell in the upcoming days.